On Thursday 17th December 2015, we had a sensational Spanish day! Children from Early Years to Year 6 took part in various fun, educational activities throughout the day. Our theme was Christmas! Children in Early years took part in singing a traditional Spanish song. Children in Year 1 learnt how to say ‘Ola!’ (Hello) and ‘Adios’ (Goodbye) in Spanish. Osmani Choir were given the fantastic opportunity of performing at TH-Real Estate’s Christmas function. The choir arrived at the prestigious Grange Hotel in St Paul’s and were greeted by a staggering audience of around 300 business professionals. The choir definitely put a smile on their faces by their renditions of Away in a Manger, Doo Wop Medley and We Wish You a Merry Christmas where the audience also participated in the final chorus of our final song. TH-Real Estate also kindly donated a gift to all of the children as well as treating the children to a pizza lunch. Smiles were present all round from the children and the partners. The choir would like to extend thanks to our partners for our lovely gifts and we would also like to thank Rebecca from Upstage for supporting us with our singing. On Friday 11th December, Osmani Choir were invited to sing at Age UK’s Christmas Lunch which is a yearly charitable event put on by the Bank of America. The choir sang four different songs with positive reviews all around. As part of the experience for the choir they were also treated to a special lunch, met Father Christmas and were given sweets as a reward for their time and efforts. Our KS2 pupils had a visit from wonderful author Karen McCombie. Karen has written 80 books now for children and she inspired us all by talking about her writing. She told us how she keeps a notebook about all the funny things that happen to her so that she can use them in her stories. The children enjoyed meeting her and had the chance to buy a book and get it signed by her. Five Year 6 pupils from Osmani School attended the Tower Hamlets Book Award at Swanlea School on Friday afternoon. Nearly 300 pupils and teachers attended the award from 29 schools to watch performances based on the shortlisted books and find out which book would win the coveted Tower Hamlets award. Kim Slater’s ‘Smart’ was voted best book by Tower Hamlets pupils in the 2015 Tower Hamlets Book Award. 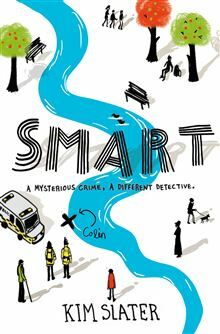 “Smart” is a powerful story of an autistic young boy with a difficult home life trying to discover the mystery behind the death of a homeless man in his neighbourhood. Present at the finale were four of the shortlisted authors who met pupils and signed books throughout the afternoon – Kim Slater, Sam Gayton, G.R. Gemin, and Polly Ho-yen. ‘She’s behind you!’ The children from Year 1 to Year 6 experienced yet another exciting pantomime trip to the Hackney Empire. This years adventures were with ‘Jack and the Beanstalk’, introducing the children to a host of characters from Buttercup the Cow and Dame Daisy to two evil bugs and of course, Jack and the moody giant. The children enjoyed the performance of a range of songs and dances along with some interesting additions to the traditional tale. As always the children were invited to join in with the final song, with a few actions, this time to bring Buttercup home. Fun was had by all, including the staff!